Office Hours M 2:30-4:00 PM, TR 2:30-4:30 PM, and by appointment. Music Copyright and Intellectual Property Law is course that studies the music business from a legal perspective. Topics include music publishing, copyright, intellectual property law, performance rights, mechanical and record royalties, synchronization licenses, and other legal concepts related to music and the entertainment industry. I am not a licensed or practicing attorney. The materials contained in this course are provided for educational and informational purposes only and do not constitute legal advice or legal opinions. Transmission of the information is not intended to create, and the receipt does not constitute, an attorney-client relationship between sender and receiver. You should not act or rely on any information contained in this course without first seeking the advice of appropriate legal counsel. Students will gain an understanding of copyright and intellectual property law. Students will be able to articulate the definitions of various legal terminologies that are common in music contracts. Students will be become familiar with various types of recording contracts from a legal perspective. Information regarding course assignments, lectures, and other important notices will be communicated through email and the course website. It is the student’s responsibility to check the website each week for updates on reading assignments, quizzes and alterations to course content. I cannot stress enough the importance of checking the website each week. Education is mostly experiential and therefore class attendance is critical. I go to great lengths to make this course beneficial to you even if you can’t see what it’s value is in the moment. Trust me and come to class! Each student is directly responsible for absences and for making up missed work. Assignments are due at the beginning of class. Late work will not be accepted, except in accordance with the University’s bereavement policy. The instructor has the right not to accept late homework. Class participation is expected, and constitutes 10% of the total course grade. Class participation is defined as being attentive in class and participating in class activities and discussions. Students will be expected to spend an average of 6 hours per week outside of class working on assignments and reading. All work will be completed and turned in on time. Readings need to be completed before that week of class, not during so it can be discussed and used for in class assignments. January 8 & 10: What is copyright? Read MCL Chapter 1. 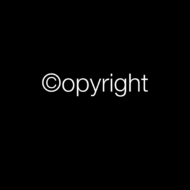 January 15 & 17: History of Copyright. Read MCL Chapter 2. January 22 & 24: What can be protected by Copyright? Read MCL Chapter 3. January 29 & 31: Ownership of Copyright. Read MCL Chapter 4. February 5 & 7: The Reproduction Right. Read Chapter 5. February 12 & 14: Derivative & Distribution Rights/Public Performance and display Rights. Read MCL Chapters 6 and 7. February 19 & 21: Review and Midterm. February 26 & 28: Duration of Copyright. Read MCL Chapter 8. March 5 & 7: Copyright Formalities. Read MCL Chapter 9. March 19 & 21: Infringement of Copyright. Read MCL Chapter 10. March 26 & 28: Defenses to Infringement. Read MCL Chapter 11. April 2 & 4: Remedies for Copyright Infringement. Read MCL Chapter 12. April 9 & 11: International Copyright Protection. Read MCL Chapter 13. April 16 & 18: Copyright and Digital Technology. Read MCL Chapters 14 and 15. Students at JU are expected to adhere to the highest standards of academic honesty. Refer to the information on academic integrity and misconduct found in the online JU catalog, p.101. Academic dishonesty will be handled appropriately by the instructor. Students at JU are expected to adhere to the highest standards of academic honesty. Refer to the information on academic integrity and misconduct found in the online 2015-16 JU catalog, p.101. Academic dishonesty will be handled appropriately by the instructor. Music and Intellectual Property Law, Proudly powered by WordPress.